Putting aside tablets, cell phones, and other handhelds devices, little girls love to play with their dolls, dress up and other similar things. Since Christmas is just around the corner, you've probably wondered what would be the perfect gift for your little princess. 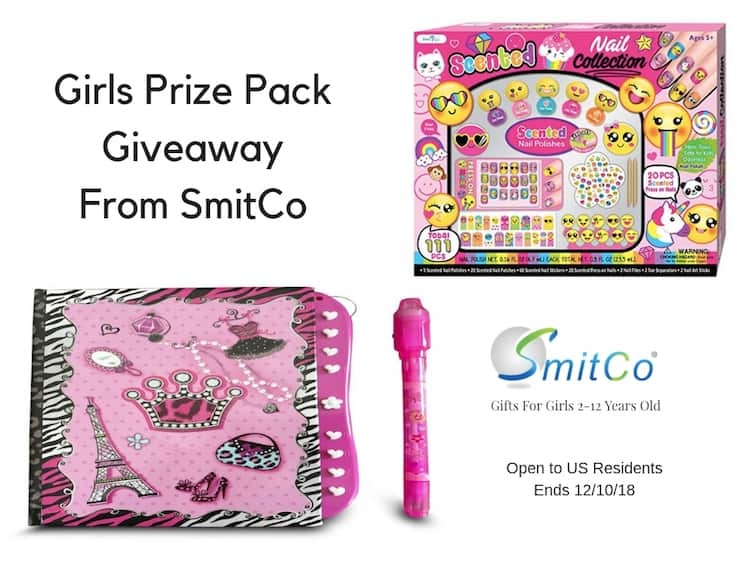 If you're looking for the perfect Christmas gifts for girls, I have 2 products from SmitCo that will make the perfect gift! 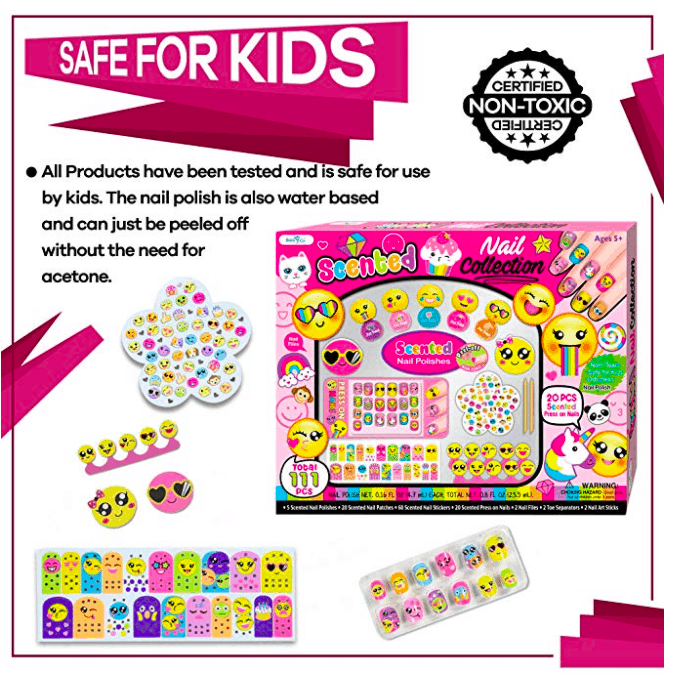 Girls love to do their nails and with this manicure and pedicure kit with scented stickers, peel-off nail polish and more. This girls nail spa gift set is perfect for girls ages 5-10 Years old. Unlike more expensive sets with less pieces and stickers that won’t stick, this set will provide hours of craft fun and entertainment for a sleepover, birthday or slumber party for little or young girls, tweens or teens. This kit has 111 pieces in this nail art set for manicure and pedicures. 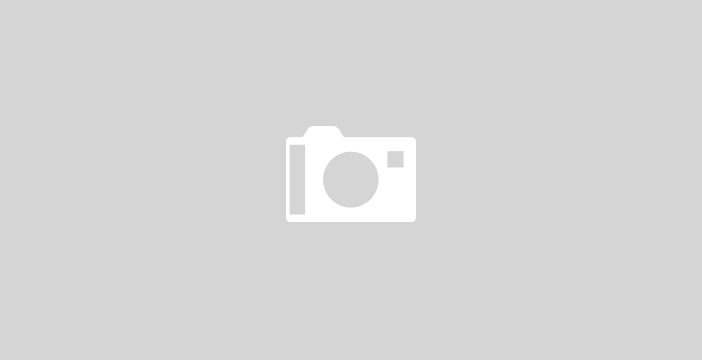 Safe for kids: All the products have been tested and is safe for use by kids. The nail polish is also water-based and can just be peeled off with no need for acetone to remove it. The coolest thing is the invisible ink pen with a blacklight so nobody will be able to see what she has written unless they have the black light! Great way to fool nosy brothers and little sister. This journal is a must have for any young girl and a great gift idea for just about any occassion.